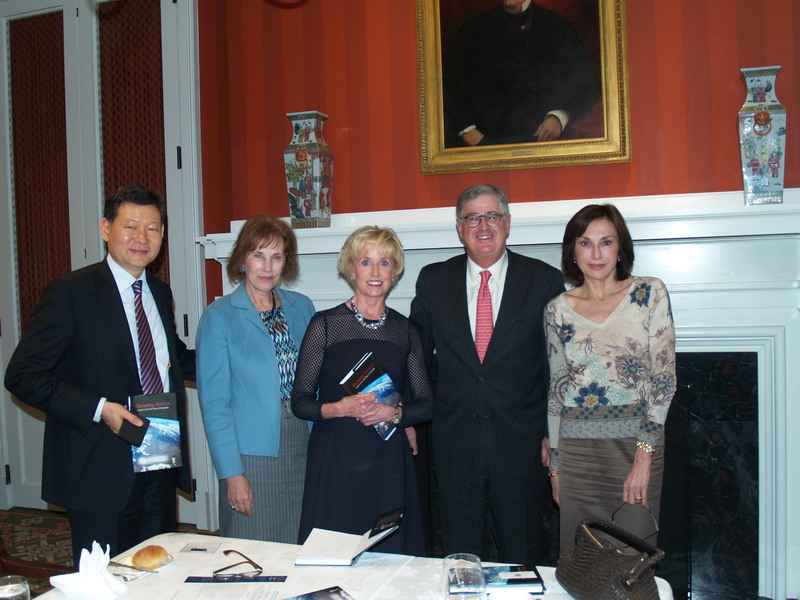 Sam Palmisano, former Chairman, CEO and President of IBM and now Chairman of The Center for Global Enterprise (CGE) has collaborated with other business executives and thought leaders on an important new book, Growing Global: Lessons for the New Enterprise. The Institute for Education and CGE recently invited Ambassadors, senior media, Sam and 2 fellow co-authors to lunch in Washington DC. H.E. Jose Cuisia, Philippines, H.E. 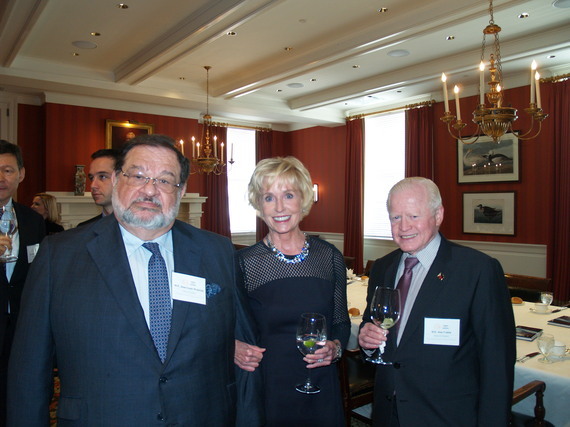 Jean Louis Wolzfeld, Luxembourg, Sam Palmisano, H.E. Kairat Umarov, Kazakhstan, Christian Lungarotti, Italy. Here is my take away. This book is a must read, particularly for high-ranking corporate executives, as well as Presidents, Prime Ministers, and Kings and Queens. The chapters are written by different authors, and they cover many different dimensions of the business and economic landscape. Our lively and rigorous conversation had some themes. Platform companies, global integration, interdependence of government and business, global governance and data, data nationalism, global economic openness, tech driving tensions and government being the adjudicator and platforms and platforms and more platforms. Emerging platform economy. "I found Sam Palmisano and his co-authors from Growing Global: Lessons for the New Enterprise to be extremely insightful. I have a better understanding of how my country can position itself in this next phase of global integration," remarked H.E. Elena Poptodorova, Ambassador Extraordinary and Plenipotentiary of Bulgaria to the United States. CGE Global Scholars The conversation concluded with Chris Caine, CGE's President, sharing information about the global learning initiative, which includes 83 Universities in 60 countries. A real global book launch! They are coaching young scholars to be leaders by better understanding new management practices and disruptive business models. "We're trying to prepare future leaders for the world they're going to encounter," remarked Palmisano. H.E. Jose L. Cuisia, Jr., Ambassador Extraordinary and Plenipotentiary of the Republic of the Philippines, added, "As an ambassador, I am always searching to learn about economic changes and new approaches my country can take regarding economic development. 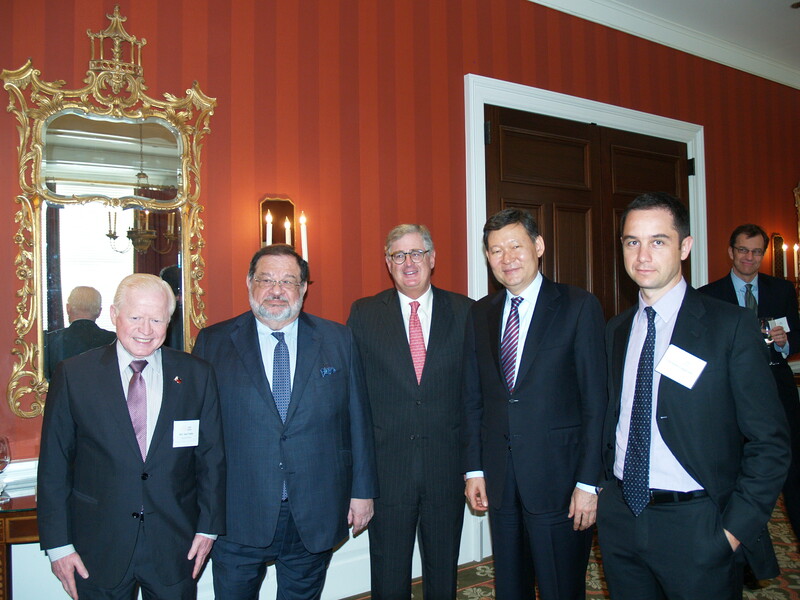 The discussion today with Sam Palmisano and his colleagues from the Center for Global Enterprise was very illuminating." 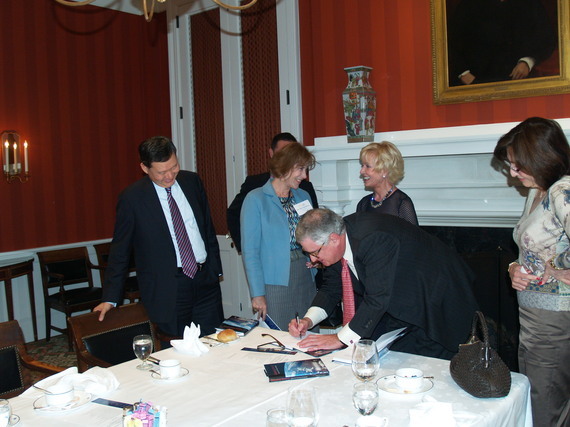 Ambassadors lingered, with the CGE team, while getting their books autographed.